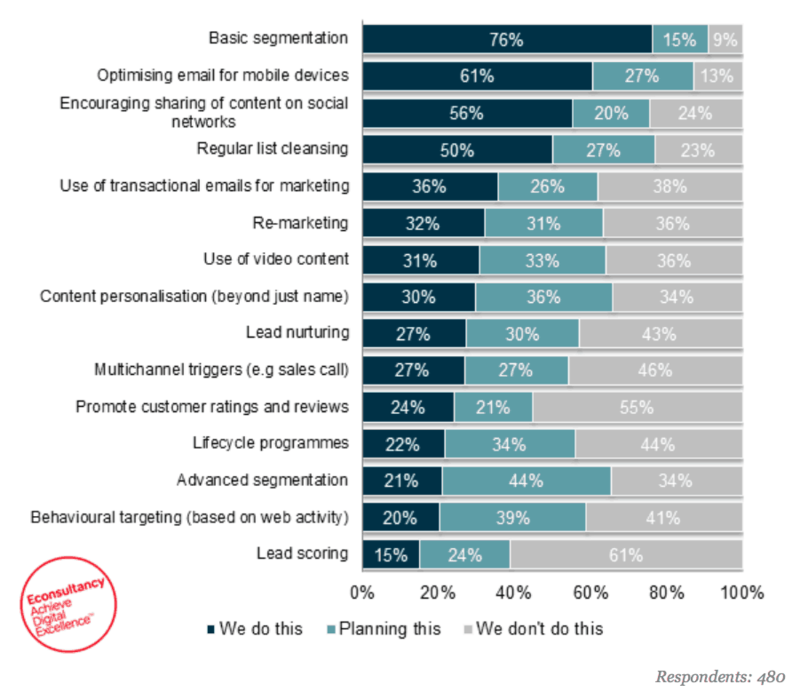 59% of the marketers still use email marketing as the most effective revenue generation channel. Surprised? As a fact, Email marketing still has the maximum ROI (38-to-1 on every dollar invested) and is also the people’s preferred method of communication (72% says they want companies to communicate through email), Litmus State of Email Report. However, this is easier said than done! With 225 billion emails sent every day, rising to the recipient’s top of the reading list becomes a major challenge in email marketing. Trends in the Internet World are changing fast. Automation, Artificial Intelligence, and Machine Learning are fast becoming industry buzzwords. Each day email marketers are researching more on what is working and what is not. What worked in 2018 may not work in 2019. To stay ahead in the competition it becomes imperative for marketers to understand which practices are expected to work in the coming years. 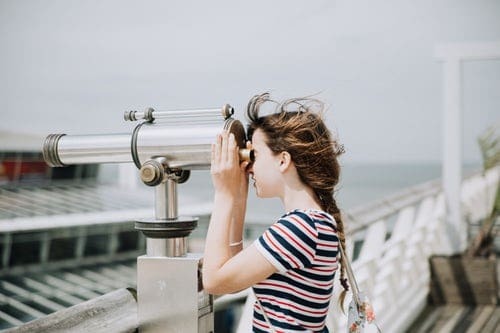 In this article, we will be talking about the 10 email marketing trends in 2019. These are not just trends, they are trends because they work and these methods are giving results. Follow these as best practices to become an effective email marketer. Sending out an email to the subscriber based on the particular actions they have taken/not-taken is called Behavior-Based Email Triggers. According to MarketingSherpa, 39% marketers believe it to be the most effective tactic for improving email engagement. According to DMA, 77% of ROI comes from segmented, targeted and triggered campaigns. 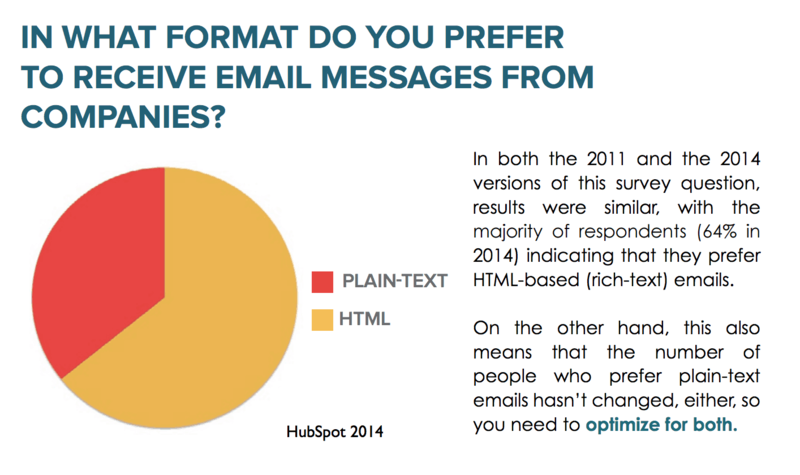 Still, only 20% email marketers use it, according to a study by Econsultancy. This means email marketers are leaving a lot of money on the table. The reason behavior-based email trigger is still an unexploited opportunity is the lack of know-how. This email marketing practice does well as it is seldom considered as spam. In this scenario, the customer dictates what he wants in the next email through their behavior. For example, if you are marketing your online course, you can segment your list on the basis of how many read your first tutorial. Those who have watched will get the link to the next video and others will get a reminder mail. Thus, the next email doesn’t come as a surprise. This is the next level of personalization and segmentation which readers appreciate and are increasingly coming to expect. Hence, it converts like a charm. Increasing awareness of the benefits of behavior-based email triggers makes it one of the best email marketing practices coming up in 2019. Personalization is not just adding the name of the reader in the message, there is a lot more to it. Email Marketers have been practicing personalization for quite some time. List segmentation is what’s new that is expected in 2019 in personalization. Email marketers are now trying to gather more and more information about the readers through sign-up forms. The objective is to categorize them according to their demographics, interests and other rich data. While one subscriber may not be interested in Gluten-free recipes, the other may want it. The younger audience may be interested in fat-free dishes, the older might not mind some fat on their plates. AI and Machine learning can give personalization and segmentation a new dimension. It can analyze your audience past open rate, the type of headlines they click, time of checking their email etc. Automated Segmentation of subscriber list according to the preferences and other data can result in highly personalized emails. 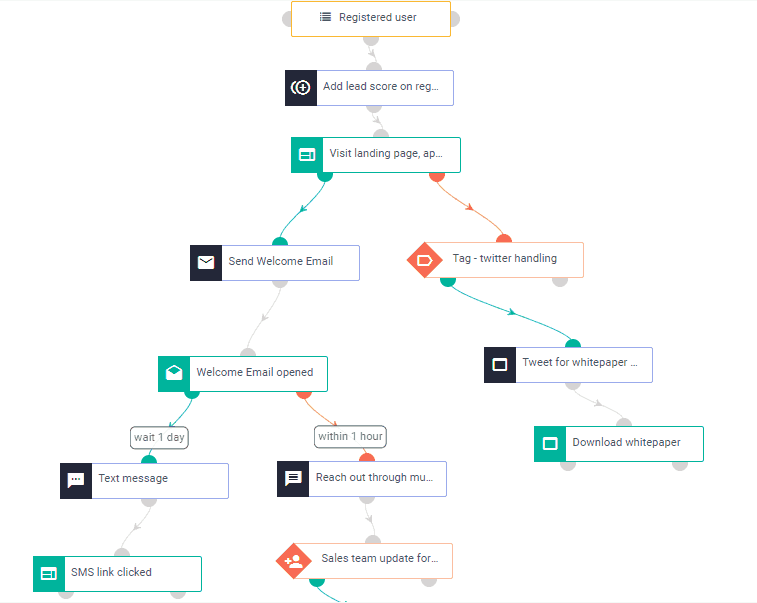 Slowly, AI based Email marketing solutions are becoming more affordable to marketers. There is an increasing awareness about automation, helping marketers use it. Therefore, in 2019, an increase in automated emails can be noticed. Few examples of automated emails are welcome emails for new subscribers and related product detail email for your webinar attendee or even the free eBook downloader email. 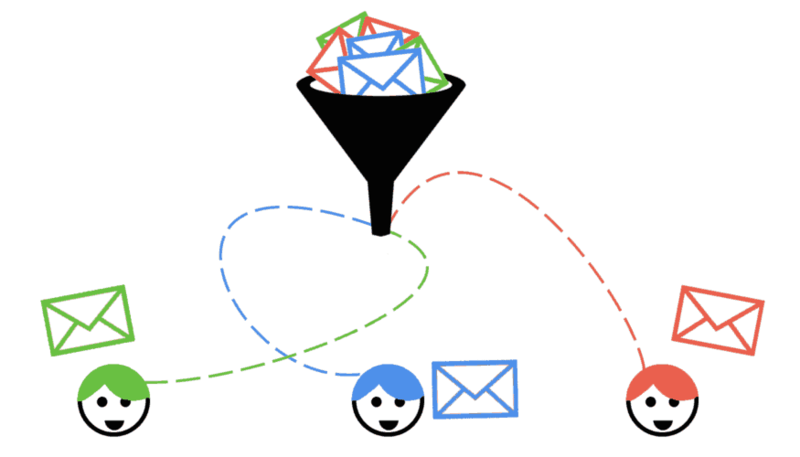 Isn’t it ironical to believe that AI makes the email more personalized and human. That’s the it rolls, though! Give, Give, Give before you Take, Take Take. Email Marketing in 2019 will be more focused on Customer Engagement rather than just Acquisition. The first objective of any email is to get opened. There are two methods to make the recipients open up the mail. First, give them lucrative offers and discounts. Sadly, not every company can give this and certainly not every time. So the other alternative is to give the readers Sticky Content. In simple language, Sticky Content saves you money since it does the job of discounts and coupons. The second stage is engagement. The content should be of high quality that readers can value. If they like the content they will stick to the emails from your organization. Sticky Content could be anything that the readers want to know. It could be in form of How-to-guides, Quick tips, and tricks, latest news from the related industry, etc. A recent study by Litmus says that 54% of emails are now opened in mobile phones. This implies marketers can no longer afford to ignore mobile friendliness. Email designing is an art in itself. Check the design responsiveness for different sizes of screens. Iterate to suit all sizes. Responsiveness is no longer a ‘good to have’ feature. With the increase in the number of mobile phone usage worldwide, this is an absolute necessity. In 2019, not just emails, but also the email subscription forms on websites are expected to go mobile friendly. 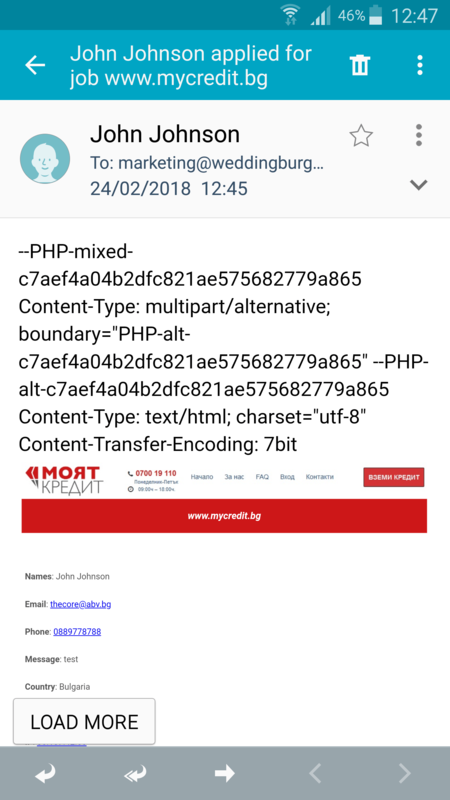 We may also see even sticky headers on the website that asks for emails to go mobile friendly. Since most of the readers come to the website through blogs, a subscription form (Call To Action) at the end of each article is expected to be seen more often. The content of the emails will be more crisp and comprehensive. 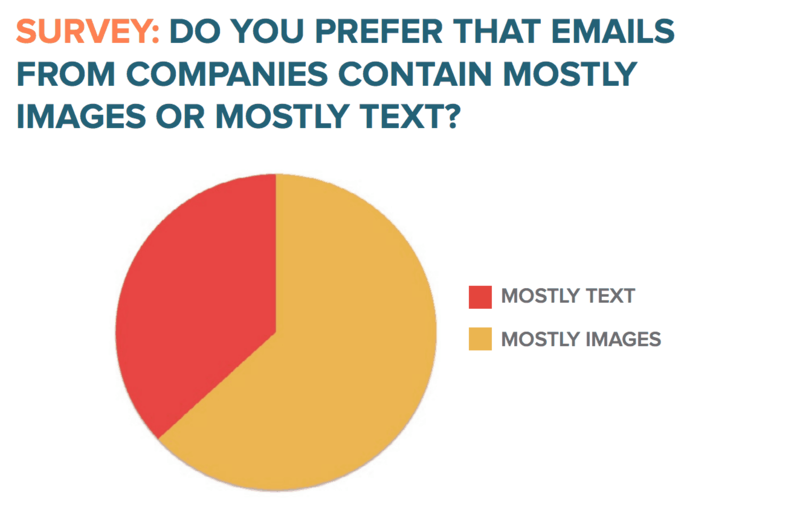 Marketers often debate on the type of content being used in the emails. 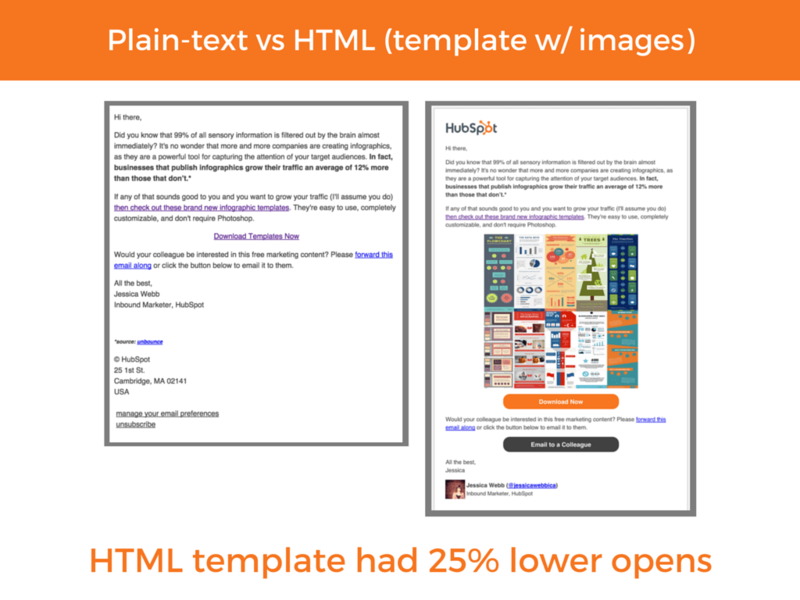 It was a popular notion that emails heavy on HTML and visuals are more attractive. Humans have a natural inclination to absorb visual content over plain text. A study published in 2015 and revised in 2018 by HubSpot, however, shows contradictory results. People were surveyed for their preferred type of content. They said that they preferred HTML and images over plain text. On empirically testing, they found that what they had said was not true. The A/B testing showed that they actually wanted plain and simple text. 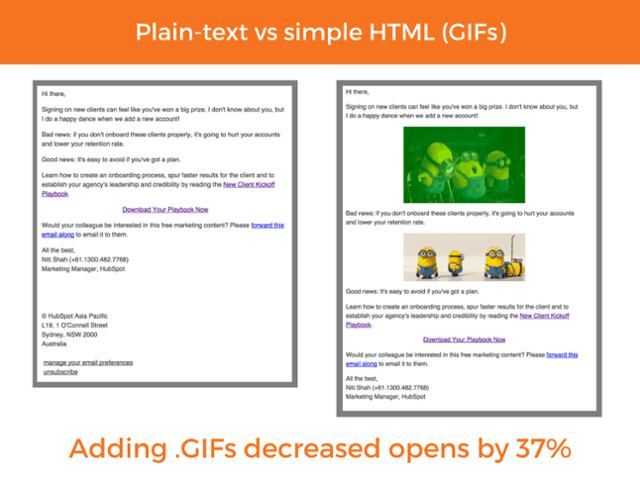 The open rate for the HTML and the GIF template were lower by 25% and 37% respectively when compared to plain text emails. There can be several reasons for this contradiction between what people say they want and what they actually want. We have seen many companies that have created products which were not the necessities of that time. Who knew they wanted Facebook and Apple? Many times, people don’t know what they actually want. 2- Email Client Limitation: Gmail doesn’t show images from an unknown sender. 3-Perception: People perceive plain-text as less time-consuming. Slowly, marketers are shifting to text-based emails. 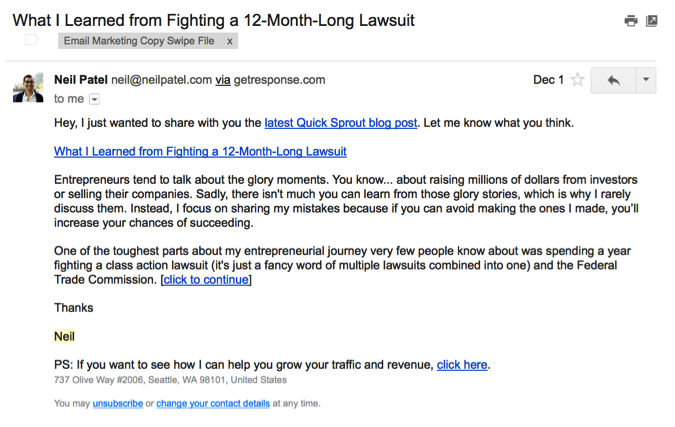 Neil Patel, the famous marketing guru writes plain text in all his emails. In 2019, we can see more email marketers breaking the trend and shifting to old simple text. In email marketing, less is more! Marketers are now well aware of the power of emotions in the content. They are finding new and creative ways to target human emotions and therefore, stand out from the crowd. Emotional content can increase the effectiveness of the marketing by a whopping 70%, says a study. Therefore, there has been an increase of 775% YOY in the usage of emojis in messages and email, according to a recent study by Appboy. In 2019, emoji usage could be seen as a good practice in email marketing. We are humans, we love interaction! 27% of the marketers in a study by Litmus, said: “2017 was the year of Interactive Emails”. 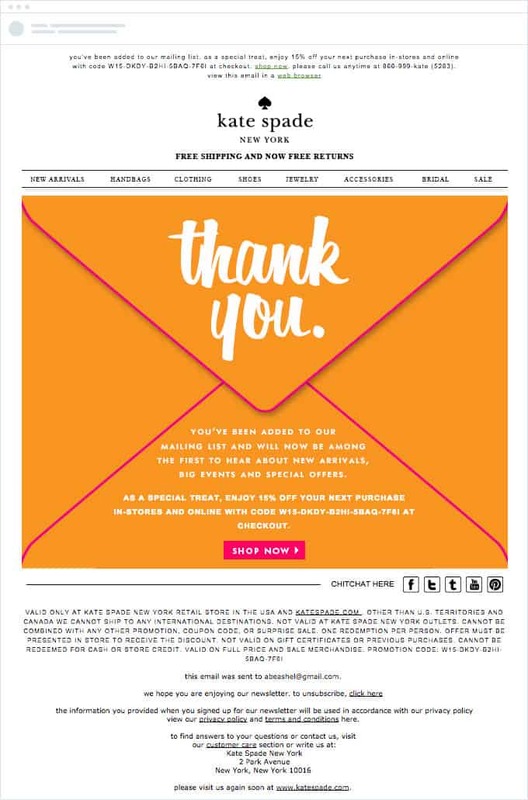 Elements of Interactive Emails are Sliders, Surveys, Quizzes, Reviews, Add to Cart functionality, etc. This email marketing trend is not just going to continue in 2018 but will continue to evolve for better. 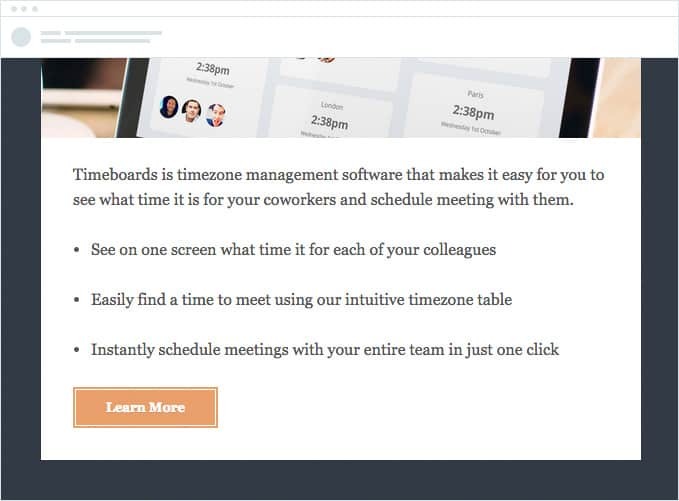 We can expect more companies using Kinetic Emails for better Interactivity. Experian Email Benchmark Report 2016 says that as compared to non-kinetic emails, the unique open rates and open-to-click rates for kinetic emails has increased by 18% and 10% respectively. 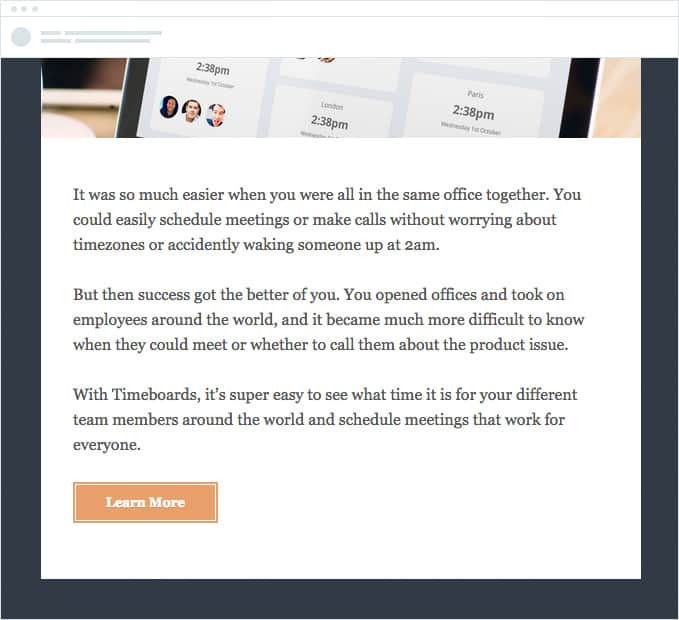 Kinetic Emails uses a coding technique that can stimulate the website experience inside the inbox. As more email clients started supporting HTML and CSS, email marketers could design mobile optimized, advanced HTML layouts. Kinetic Emails are compatible with Yahoo Mail, Gmail, Outlook 2003, Outlook.com, AOL, and iPad to name a few. Marketers are storytellers. How can email marketing escape from this skill of marketers? When no other ways of communication works, storytelling does. Stories make our brain act as if we are actually living them. Storytelling has been a trend since the time human beings hadn’t begun to write. Yes, our ancestors used to communicate by drawing pictures on walls. How can we not expect this trend to continue as the best email marketing practice in 2019? After a debate and preparation of four years, this regulation was finally approved by the European Union Parliament in 2016. The regulation is set to be enforced from 25 May 2018. GDPR is intended to strengthen and unify the data protection for all individuals within EU. Email marketing has a bad history of handling personal data such as spamming inboxes. This email marketing practice is surely going to affect those marketers whose audience is from the EU. So, in this article, we saw how some of the practices from 2018 will continue in 2019. Some new and promising email marketing practices are expected to surface in the coming year. Marketers need to be on their toes to win the game. Which email marketing practice do you consider to be the best? Let us know in the comments below.